So much to do and so little time. That's how a Disneyland trip feels a lot of the time! No matter how many days you're spending, there's always more to do and usually something you'll have to check out next time. So the last thing you want to do is waste time doing something you could have avoided. Here are a few tips to cut back on some "time suckers." 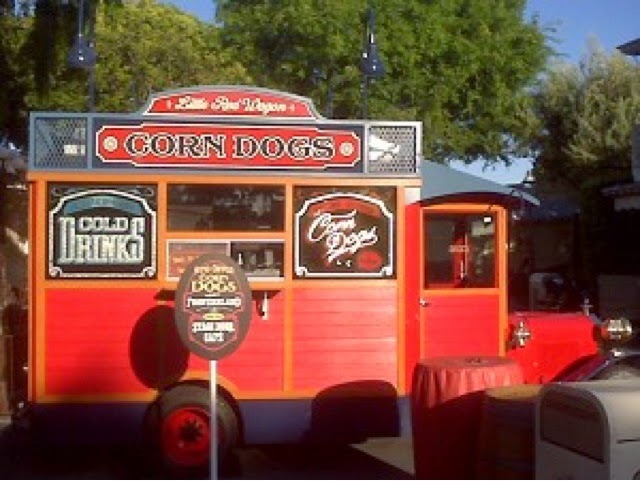 Disneyland corn dogs are amazing! They're fresh, huge, and delicious. But the wait at the truck on Main Street can get up to an hour long! Instead, head over to the Stage Door Cafe tucked all the way to the right of the Golden Horseshoe where they serve the exact same corn dogs and I've never waited more than 10 minutes. 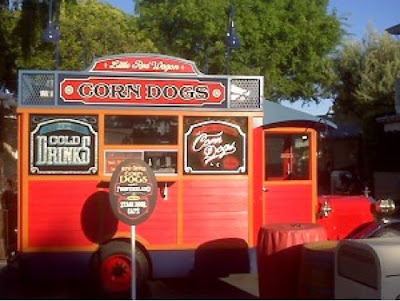 Bonus: they serve the corn dogs with tasty french fries instead of a bag of Lays chips. Plus there are other things on the menu (like chicken nuggets or fish and chips) if not everyone in your group can agree on corn dogs. 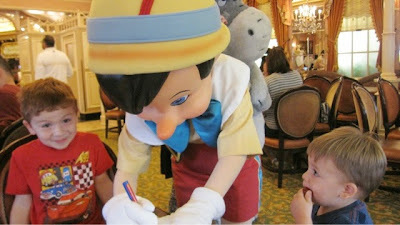 I love meeting characters but don't always love the long lines to meet them. You can never quite tell how long it'll take or when they'll need to leave to take a break. Eating at a character breakfast is a great way to see a lot of characters in the time you'll be using for breakfast anyway. 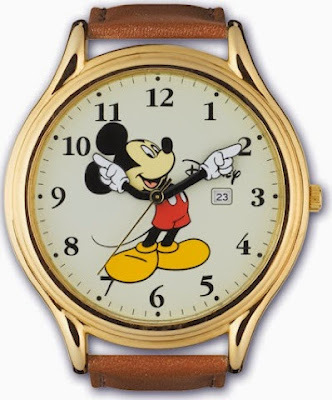 Bonus: sometimes you can get a breakfast reservation at the hotels (Goofy's Kitchen at the Disneyland Hotel, Storyteller's Cafe at the Grand Californian, and the PCH Grill at the Paradise Pier) before the parks open! This is especially true in the off season when the parks don't open until 10am on weekdays. If your stomach is ok with it, eat your meals early. You'll avoid a lot of the crowds and won't have a problem finding a table (because nothing's worse than having a tray full of food and nowhere to put it!). The same works for eating late, but you run the risk of missing the breakfast menu and having to have a burger at 10:30am, or they could have run out of some of the food if it's too late after dinner. There are two ways to work with Magic Mornings. You can use them if you have them, or you can avoid them if you don't. Let's start with the easier option. If you have Magic Morning, use it and use it wisely! Get to the entrance about 20 minutes before your extra hour starts, so you can be sure not to get stuck in a long line first thing. Then head to a ride without fastpass that you might have to wait a long time for later - like Peter Pan! If you don't have Magic Morning, make sure you know if there is one that day so you can avoid it. 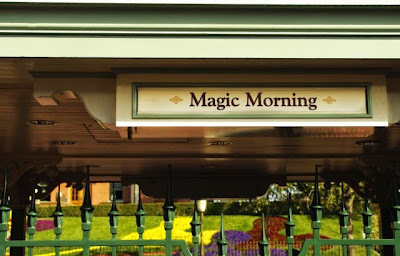 Start your day at the park WITHOUT Magic Morning. Otherwise the crowds feel like you've gotten there an hour late. I really like going to California Adventure on a day when the early birds are at Disneyland. It cuts down on the crowds rushing for Radiator Springs Racers fastpasses (which, of course, I'm a part of!). Know how the fastpass system works and have a plan! I'll admit, it was much easier before cast members had to start enforcing the return time correctly. But it's still a great system. Take advantage of it! 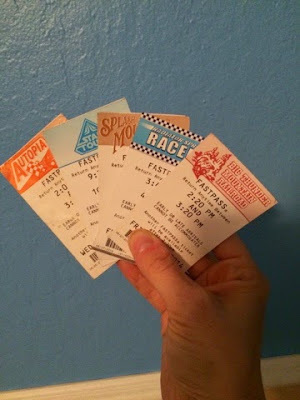 Get passes for things that run out (Racers, Space Mountain, Indiana Jones) as early as you can. Remember that you can hold a fastpass for each park and for shows at the same time! So, in theory, you could go to Disneyland, grab a fastpass for Splash Mountain and for Fantasmic, then go to DCA for World of Color and Soarin Over California. This totally works as long as you have time to make it back for your Splash fastpass and that you can still get a pass for a show if you weren't there first thing in the morning (probably depends on the crowds that day).